The redoubtable Grandma-this book is a sequel to Grandma Drove the Snowplow-is at it again. After all her hard work collecting the town's garbage and plowing the roads, Grandma deserves a day off-and what better day than Labor Day. All she has to do is sit back and enjoy a nice boat ride with her littlest grandson Billy while her sons catch the lobsters for the town Lobster Bake. But what happens when the waves get choppy, the fog rolls in, and all the boats are in difficulty? 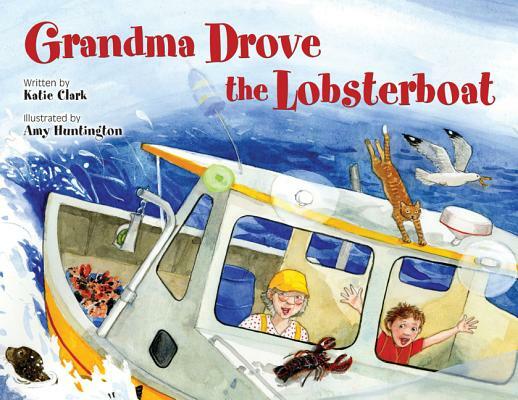 Can Grandma take the helm and get the lobsters back to shore in time? More great fun as our intrepid heroine is again placed at the center of small town life and in the middle of a local celebration.